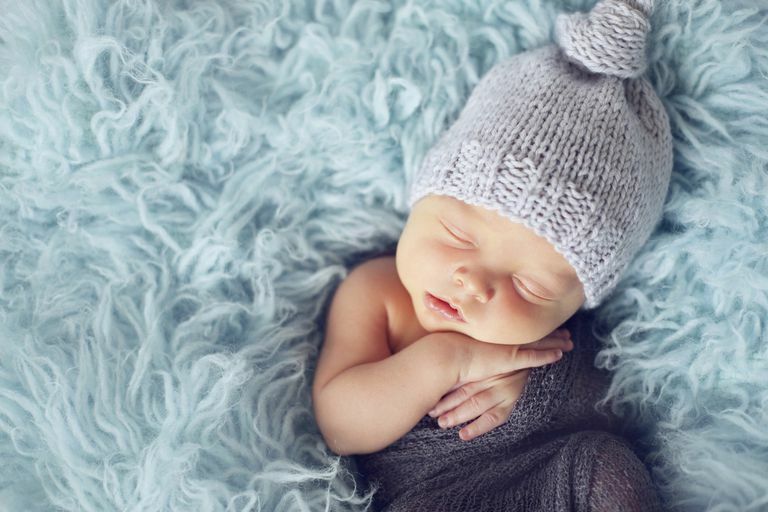 Whether you have Italian roots or you simply love the way Italian names roll off the tongue, there are many choices of Italian names for your baby boy or girl. These names may have originated in Latin, or they may be Latinized versions of names from other languages. Traditionally, Italian parents choose their children's names based on the name of a grandparent, choosing names from the father's side of the family first and then from the mother's side. Until recent decades, Italian first names were always a saint's name or had other strong religious connotations. By knowing the Italian equivalent you can keep this tradition alive even if one side isn't Italian. Or, you can choose a name with ancient Roman roots. These names include those that are popular in Italy, as well as those with Italian roots. Peak Popularity: Alessandra is a very popular name in Italy, reaching number 17 in 2004 and 2005. In the U.S. it is gaining in popularity over the past couple of decades and ranks around 300. Fun Fact: Saint Alexandra of Rome was a noblewoman (who may have been the wife of Emperor Diocletian or the Roman Prefect Dacian) who secretly converted to Christianity and died a martyr in the year 303. Alternative Spellings & Variations: Alicia, Alecia, Alisha, Alyce, Alys, Alise. Peak Popularity: Alice has been consistently ranked around number 10 for girl names in Italy for the past two decades. In the U.S. it was most popular in 1906 and remained in the top 50 names through World War II before dropping significantly. It has had a resurgence since 2010 and was the 70th most popular in 2017. Fun Fact: In Italian, the pronunciation of Alice is a-LEE-cheh. Peak Popularity: Angelica was most popular in the 1990s in the U.S., when it ranked about 100. Fun Fact: There are many Saint Angelas in the Roman Catholic canon, and one Blessed Angelica of Milazzo. Peak Popularity: Arianna has long been popular in Italy, ranking in the top 25 over the past couple of decades. In the U.S. it entered the top 1,000 in 1982 and reached a high of 40 in 2014. Fun Fact: Arianna comes from Ariadne of Greek mythology. She was the daughter of King Minos who fell in love with Theseus and helped him escape the labyrinth. Dumped by him, she married Dionysus, the god of wine, revelry, and dance. Peak Popularity: Aurora reached the second most popular girl name in Italy in 2016. It has surged in the U.S. since 2009 and was at 51 in 2017. Fun Fact: Aurora was the Roman goddess of morning. Peak Popularity: Beatrice has long been popular in Italy and ranked 13 in 2016. In the U.S. it was popular early in the 20th century and then fell out of favor. It ranked 559 in 2017. Fun Fact: Dante Alighieri portrays Beatrice Portinari as his guide through paradise in "Divine Comedy," published in 1321. Beatrice is also a main character in Shakespeare's "Much Ado About Nothing." Peak Popularity: Benedetta has ranked in the top 50 girl names in Italy for over 20 years. It is not in the top 1,000 in the U.S.
Fun Fact: Benedetta is the female version of Benedictus, after Saint Benedict who founded the Benedictine order in the sixth century. Peak Popularity: Bianca ranked 26 in Italy in 2016. In the U.S. it ranks around 300. Fun Fact: Shakespeare liked the name Bianca well enough to give it to characters in both "Othello" and "Taming of the Shrew." Peak Popularity: Camilia has been popular in Italy for decades, and was at number 24 in 2016. In the U.S. it has new popularity and was at number 308 in 2017. Fun Fact: Camillus was an ancient Roman first name, with Camilla being used by females. A legendary warrior maiden named Camilla was featured in the "Aeneid" by Virgil. Peak Popularity: Carlotta is usually in the top 50 names in Italy, but it rarely makes it into the top 1,000 in the U.S.
Fun Fact: Carlotta is the Italian version of Charlotte, which itself is the feminine version of Charles. Peak Popularity: Carmen was most popular as a girl name in the U.S. in the 1960s. Fun Fact: Carmen can be a unisex name, although it has less popularity as a boy name than as a girl name. Peak Popularity: Caterina has been in the top 50 girl names in Italy for the past 20 years. It is never in the top 1,000 in the U.S., where the English versions of Katherine or Catherine have always been preferred. Fun Fact: Caterina (Catherine) de' Medici was known as the "mother of kings." An Italian noblewoman, she was the queen of France by marriage to King Henry II. Her sons became King Francis II, Charles IX, and Henry III. She ruled France as regent for three years. Peak Popularity: Chiara has been in the top 10 girl names in Italy for the past 20 years, and was the second most popular in 2000 and 2001. It has never been in the top 1,000 girl names in the U.S., but the variants Claire and Clara are in the top 100 in 2017. Fun Fact: In Italian, Chiara is pronounced KYA-ra. Peak Popularity: Claudia reached number 111 in 1952 in the U.S. In Italy, it was number 26 in 1999. Fun Fact: Women of the noble Roman family Claudius would bear the name Claudia, including two mentioned in the New Testament. One was the wife of Pontius Pilate and the other was Saint Claudia, an early convert to Christianity. Peak Popularity: Drusilla has always been a rare name in the U.S., reaching a high of 612 in 1886, and it is not in the top 1,000 today. Fun Fact: Drusilla was used as a given name by members of the Claudia family in ancient Rome. Peak Popularity: Elena was in the top 20 girl names in Italy from 1999 to 2011, and ranked at 29 in 2016. It is increasingly popular in the U.S., with a new high at 67 in 2017. Fun Fact: Elena is the Italian version of Helen, who was the beautiful mythological daughter of Zeus and Leda. She was "the face that launched a thousand ships" and the cause of the Trojan War. Peak Popularity: Eleonora reached number 18 for girl names in Italy in 2002. It has not been in the top 1,000 in the U.S. for over a century. However, the English variant Eleanor is making a huge surge with a new high at 35 in 2017. Fun Fact: Eleanor and its variants became popular throughout Europe in the 12th century as Eleanor of Aquitaine was first the queen of France by marriage to Louis VII and then queen of England by marriage to Henry II. She was the mother of King Richard the Lionheart and King John and ruled as regent when Richard went on the Third Crusade. Peak Popularity: Elisa is very popular in Italy, ranking ninth in 2004. In the U.S. it usually ranks about 500. Fun Fact: Elisa is an Italian form of Elisabeth and Elizabeth. Peak Popularity: Emma was the top girl name in the U.S. from 2014 to 2017 and in the top 10 in Italy since 2010, peaking in fourth place in 2016. Fun Fact: Emma is hugely popular as a name in countries throughout Europe, North America, and South America. Peak Popularity: Flavia ranked at number 56 in Italy in 2011, but it hasn't been in the top 1,000 in the U.S. since 1884. Fun Fact: Flavius was an ancient Roman family name, carried by several Roman emperors including Constantine, the first Roman emperor who converted to Christianity. Peak Popularity: Francesca is one of the most popular names in Italy, ranking in the top 20. In the U.S. it ranked 435 in 2017. Fun Fact: Francesca appears as a character in Shakespeare's "Measure for Measure" and in Dante's "Inferno." Peak Popularity: Gabriella has surged in popularity in the U.S. since the 1990s, with a high at number 33 in 2009 and 2010. Fun Fact: Gabriella is the feminine version of Gabriel, an angel who appears in the Old Testament, New Testament, and Quran. Peak Popularity: Gaia is very popular in Italy, ranking in the top 15 over the past two decades. It doesn't make the top 1,000 in the U.S.
Fun Fact: Gaia is the personification of the planet Earth in Greek mythology, the mother of the sky god Uranus, the sea god Pontus, the Titans, and the Giants. Peak Popularity: Giada is very popular in Italy, ranking 10th in 2006. In the U.S. the name entered the top 1,000 in 2007 and ranks in the 700s to 900s. Fun Fact: Giada is a departure from the Italian tradition of using saint names. Peak Popularity: Ginevra was the ninth most popular girl name in Italy in 2016. It has never been in the top 1,000 in the U.S., where the English version Jennifer is far more common. Fun Fact: Ginevra is the Italian version of Guinevere, the wife of the legendary King Arthur. Peak Popularity: Gioia is increasingly popular in Italy, reaching number 33 in 2015 and 2016. Fun Fact: Gioia is also the name of a weekly women's fashion magazine in Italy. Peak Popularity: Giorgia has been in the top 10 girl names in Italy for the past 20 years, reaching number four in 2015. It has never been in the top 1,000 in the U.S.
Fun Fact: The name day for Giorgia is April 23, in memory of San Giorgio di Lydda, martyred for failing to refuse his Christian faith. Peak Popularity: Giovanna usually ranks around 100 in Italy. It and the variant Gia are rising in the U.S., with Gia entering the top 1,000 in 2000 and climbing to 372 by 2016. Fun Fact: Giovanna was a popular name during the Italian Renaissance, ranking at 347 in 1427. Peak Popularity: Giulia has often been the top girl name in Italy, and has been in the top five since 1999. It has never been in the top 1,000 in the U.S., but Julia has been perennially popular and has ranked in the top 100 for over a century. Fun Fact: The name day for Giulia is May 21, in memory of St. Julia the Virgin, martyred in Corsica in 450 for refusing to participate in a pagan ritual. Peak Popularity: Ilaria was the 17th most popular girl name in Italy in 2000. It has never been in the top 1,000 in the U.S., where Hilary and Hillary are more common. Fun Fact: St. Hilarius was a theologian in the fourth century. Meaning: Originally derived from a Hebrew name meaning "my God is an oath"
Peak Popularity: Isabella is perennially popular in Italy. In the U.S., it has surged in popularity and reached the top spot in 2009 and 2010. Fun Fact: Bella and Isabella became popular names in the U.S. with the success of the Twilight young adult novels. Peak Popularity: Lara is a popular name in Italy, while it stays in the top 1,000 in the U.S. It was most popular at 235 in 1970. Fun Fact: Lara comes from the name of a Roman mythological water nymph who was overly talkative. She revealed Jupiter's affair to his wife Juno and he had her tongue removed. She had two children by the god Mercury. Peak Popularity: Laura is a popular name in Italy, ranking from 25 to 50 in recent years. In the U.S. it was most popular in the 1970s, ranking as high as number 10, but it has dropped to 340 in 2017. Fun Fact: The Italian poet Petrarch penned sonnets of platonic love to Laura de Noves, the daughter of a knight. Peak Popularity: Lelia was most popular in the U.S. the late 1800s and fell out of the top 1,000 in 1958. Fun Fact: Laelius was an ancient Roman family name. Peak Popularity: Livia was rare in the U.S. before 2004, and ranked 709 in 2016. Fun Fact: Livius was a family name in ancient Rome, and women of the family would often be called Livia. It has a different origin than the name Olivia, although it sounds like a diminutive of it. Famous Namesakes: Actress Luciana Paluzzi, Shakespearian character Luciana in "The Comedy of Errors"
Peak Popularity: Luciana was an uncommon name in the U.S., only showing up in the top 1,000 in the 1970s. It has resurged in recent years and was at 397 in 2017. Fun Fact: This feminine name comes from Lucius, which was the most common Roman given name until the second century. Peak Popularity: Ludovica was the 21st most popular girl name in Italy in 2016. It has never been in the top 1,000 in the U.S.
Fun Fact: Blessed Ludovica was known for her religious ecstasies and her service to the poor. Bernini created a memorable sculpture of her. Peak Popularity: Luisa is popular in Italy, with a high rank of 101 in 1999. In the U.S. it rarely breaks into the top 1,000. Fun Fact: "Luisa Miller" is an opera by Italian composer Guiseppe Verdi. Peak Popularity: Margherita is among the top 50 names in Italy, and the variant Greta was the seventh most popular name in 2015. In the U.S., Margherita doesn't make the top 1,000 and Greta ranks around 600. Fun Fact: Saint Margherita the Barefooted lived in 14th-century Italy and walked barefooted to fit in with the poor and sick people she ministered to. Peak Popularity: Martina was the top girl name in Italy in 1999 and 2002 and is usually in the top five. It is much rarer in the U.S. where it dropped out of the top 1,000 in 2001. Fun Fact: Saint Martina is a patron saint of Rome. She was martyred in 228. Peak Popularity: Mia has skyrocketed in popularity both in Italy and the U.S. in just the past 10 years. It ranked as the sixth most popular girl name in the U.S. in 2017. Fun Fact: While Mia is regarded as a variation of Maria, the name also means "mine" in Italian. Peak Popularity: Paola is usually in the top 100 girl names in Italy. In the U.S. it was most popular at number 302 in 2006. Fun Fact: Paola is the Italian female version of Paul. Peak Popularity: Priscilla was most popular in the U.S. in the 1980s. Fun Fact: Priscus was an ancient Roman family name, and women in the family would often be called Priscilla. Peak Popularity: Sara was the most popular girl name in Italy in 2001. It peaked in the U.S. in the 1970s and 1980s, dropping out of the top 100 in 2009. The variant Sarah was always more popular in the U.S. and was in the top 10 from 1978 to 2002. Fun Fact: The name day for Sara is October 9, in memory of St. Sara, wife of Abraham in Genesis in the Bible. Peak Popularity: Serena ranks in the top 50 girl names in Italy. In the U.S. it reached a high of 209 in 2000. Fun Fact: Serena is a saint name due to an early Christian saint who was said to be the martyred wife of Emperor Diocletian. However, that same role is given to Prisca, and so Serena is now regarded to be more of a legend. Peak Popularity: Sofia has been the top girl name in Italy from 2010 to 2016. It has been in the top 20 in the U.S. since 2011, but Sophia is even more popular, ranking first from 2011 to 2013. Fun Fact: Sophia Loren was one of the most popular actresses in the world in the 1960s. She is notable for winning the Academy Award for Best Actress in a non-English-speaking performance in "Two Women." Peak Popularity: Valentina was as high as 11 in Italy in 1999. It is skyrocketing in popularity in the U.S. and broke into the top 100 in 2017. Fun Fact: Valentinus is an ancient Roman cognomen, a third name which distinguished different branches of families. Peak Popularity: Veronica is in the top 100 names in Italy, and it had its peak in the top 100 in the U.S. in the 1970s. Fun Fact: Although not depicted in the Bible, Saint Veronica was said to have wiped the face of Jesus as he carried his cross to Golgotha. The image of his face was miraculously transferred to her veil. This is commemorated in the sixth station of the cross in the Catholic tradition, and identified with a marker in Jerusalem. Peak Popularity: Viola is very popular in Italy, reaching number 13 in 2012. In the U.S. it was most popular over a century ago, and fell out of the top 1,000 in 1973. Fun Fact: Viola was a character in Shakespeare's "Twelfth Night." Peak Popularity: Vittoria has ranked in the top 20 girl names in Italy since 2012. It has never ranked in the top 1,000 in the U.S. where the English form of Victoria is preferred. Fun Fact: Victoria was the Roman goddess of victory, similar to the Greek Nike. These names for boys are popular in Italy. Many have ancient Roman roots, while others are Italian versions of names from other languages. Peak Popularity: Alessandro has been in the top five boy names in Italy for more than 20 years. It is rarer in the U.S. and was at number 639 in 2017. Fun Fact: The name day (onomastico) for Alessandro is August 26 in honor of the martyr St. Alexander, patron saint of Bergamo. Peak Popularity: Alessio is a popular name in Italy, ranking as high as 14 in 1999. It has never been in the top 1,000 in the U.S.
Fun Fact: Saint Alessio Falconieri came from a wealthy family in Florence and was one of the seven founders of the Servite Order, in which monks lived lives of poverty and penance. Peak Popularity: Andrea is a top name for boys in Italy, ranking first in 2000. In the U.S. it is only rarely used as a boy name and instead ranks in the top 100 for girls. Fun Fact: The name day for Andrea is November 30 in memory of Saint Andrew the Apostle. Peak Popularity: Angelo is always in the top 50 names for boys in Italy, but usually ranks around 300 in the U.S.
Fun Fact: The name day for Angelo is May 5 in honor of Saint Angelus of Jerusalem. Peak Popularity: Antonio is in the top 20 boy names in Italy and was in the top 100 in the U.S. from 1971 to 2007. Fun Fact: The most famous member of the Roman family of Antonius is Mark Antony. He married Cleopatra and ruled the Roman Empire in the triumvirate with Caesar Augustus and Marcus Aemilius Lepidus. Peak Popularity: Carlo ranks around 60 for boy names in Italy. In the U.S. is is less common, falling out of the top 1,000 in 2012. Fun Fact: Carlo is the Italian version of Charles. Peak Popularity: Carmine is in the top 100 boy names in Italy. In the U.S., Carmine was most popular in the first half of the 20th century. It fell out of the top 1,000 in 2008. Fun Fact: The pigment carmine is extracted from scale insects that grow on cacti. It is used as a natural food coloring and in lipstick. Peak Popularity: Christian ranks in the top 20 boy names in Italy, and peaked at 21 in the U.S. in 2006. Fun Fact: Ten Danish kings have been named Christian. Peak Popularity: Claudio is usually in the top 75 names for boys in Italy. It is rarely seen in the top 1,000 in the U.S.
Fun Fact: Shakespeare included characters named Claudio in "Measure for Measure" and "Much Ado About Nothing." Peak Popularity: Cosimo usually ranks around 100 in Italy. It is uncommon in the U.S.
Fun Fact: Saints Cosmos and Damian were twins who were martyred in the fourth century. They are the patron saints of physicians. Peak Popularity: Daniele is the most popular form of Daniel in Italy, ranking in the top 20 in the early 2000s. It is uncommon in the U.S. where Daniel is in the top 10. Fun Fact: In the Bible, Daniel is best known for being thrown into the lion's den and surviving due to angelic intervention. The name day is July 21. Peak Popularity: Davide has consistently ranked in the top 15 boy names in Italy for the past 20 years. It is uncommon in the U.S., where David is in the top 25 names instead. Fun Fact: The name day for Davide is December 29 in honor of King David, who wrote the Psalms and is considered an ancestor of Jesus. Peak Popularity: Diego was the 16th most popular boy name in Italy in 2016. In the U.S. it was uncommon until the 1960s when it started to climb. It was at a high of number 56 in 2006. Fun Fact: The name day for Diego is that of Saint Didaco, on March 24. Peak Popularity: Domenico is in the top 50 names for boys in Italy. It is rare in the U.S. where Dominic is preferred and ranks in the top 100. Fun Fact: The name Domenico was traditionally given to children born on Sunday. Peak Popularity: Edoardo was the 11th most popular boy name in Italy in 2016. It is uncommon in other countries. In the U.S. Edward is preferred, but it is becoming less popular, falling below the top 100 in 1998. Fun Fact: The name day for Edoardo is September 16. Peak Popularity: Elia reached a new high in Italy at 39 in 2016, but this form is rare in the U.S. where Elijah was the eighth most popular name in 2017. Fun Fact: Elijah was one of the main prophets of the Old Testament. Rather than dying, he was carried to heaven on a chariot of fire. Peak Popularity: Emanuele consistently ranks around number 25 in Italy. It is rare in the U.S. where Emmanuel is more popular, ranking around 150. Fun Fact: Prince Emanuele Fiiberto of Savoy, the heir to the last king of Italy Umberto II, was a contestant in the Italian version of "Dancing With the Stars." Peak Popularity: Federico consistently ranks in the top 15 boy names in Italy. It is uncommon in the U.S., where Frederick usually ranks around 500. Fun Fact: Frederick was a common name for rulers of the Holy Roman Empire. Peak Popularity: Filippo consistently ranks in the top 25 boy names in Italy. It was the 14th most common during the Italian Renaissance. It is rare in the U.S., where Philip is preferred, but even that name has taken a dive to 425 in 2017. Fun Fact: Philip was one of the 12 apostles in the New Testament. The name day is celebrated on June 26 in Italy. Peak Popularity: Francesco has been the top name for boys in Italy since 2001. It rarely breaks into the top 1,000 in the U.S. Peak Popularity: In Italy, Gabriele ranks in the top 10 boy names, while Gabriel is in the top 30. In the U.S., Gabriel peaked at 21 in 2010 and Gabriele is an uncommon name for boys. Fun Fact: The name day for Gabriele and Gabriel is September 29 in honor of St. Gabriel the Archangel. Peak Popularity: Giacomo ranks in the top 40 names in Italy, but it is rare elsewhere. Fun Fact: Giacomo is an Italian name for James and Jacob. Two of the 12 apostles were named James. Peak Popularity: Gioele reached a new high of popularity in Italy at number 36 in 2015. It is rarely seen in other countries, but Joel ranks in the top 200 in the U.S.
Fun Fact: Joel is an Old Testament prophet. Peak Popularity: Giorgio consistently ranks in the top 50 in Italy, where it had a similar rank in the Italian Renaissance. It is rare in the U.S., where George ranks in the top 150. Fun Fact: St. George was a Roman soldier who was martyred in the third century. Legends grew about him slaying a dragon, and he is often depicted in that endeavor in medieval art. Peak Popularity: Giovanni is consistently in the top 20 names in Italy. In the U.S. it has surged in popularity and had a high at 116 in 2010. Fun Fact: Giovanni is the Italian version of John. The name day is celebrated on May 30. Peak Popularity: Giulio usually ranks in the top 50 boy names in Italy. It is rare in the U.S.
Fun Fact: The Roman family of Julius believed they were descended from Julus, the son of Aeneas and grandson of Aphrodite. Peak Popularity: Giuseppe is consistently in the top 15 boy names in Italy. It is rare in the U.S., where Joseph is preferred and had a high at sixth position in 2003. Fun Fact: Giuseppe is the Italian name for Joseph. Peak Popularity: Jacopo ranks in the top 40 names for boys in Italy. It is rare elsewhere. Fun Fact: Jacopo comes from the same root as Giacomo. Peak Popularity: Leonardo had a new high at the third most popular name in Italy in 2016. It has been rising sharply in the U.S. and broke into the top 100 in 2016. Fun Fact: The name day for Leonardo is November 6 in memory of St. Leonard who died in the sixth century. Peak Popularity: Lorenzo is in the top five names in Italy. In the U.S. it rose into the top 200 in 2017. Fun Fact: St. Lawrence is the patron saint of cooks and comedians due to his quip while being roasted alive on a gridiron, "I'm well done on this side, turn me over." Peak Popularity: Luca was most popular in Italy at number five in 1999. It is gaining popularity sharply in the U.S. and was at 130 in 2017. Peak Popularity: Luigi is in the top 50 boy names in Italy. It has rarely been in the top 1,000 in the U.S.
Fun Fact: Luigi is one of the Mario Brothers in the Nintendo game. Peak Popularity: Marco was in the top 10 names in Italy in the early 2000s and dropped to 22 in 2016. In the U.S. it ranks in the 300s. Peak Popularity: Mario is in the top 50 names in Italy. In the U.S. it was most popular in the 1970s and 1980s. Fun Fact: Mario comes from the Roman family name Marius, held by the Roman consul Gaius Marius, among others. Peak Popularity: Matteo has been in the top 10 boy names in Italy for over 20 years. It is skyrocketing in popularity in the U.S., breaking into the top 200 in 2016. Fun Fact: Matthew was a tax collector called to be one of the apostles and is ascribed the authorship of the first gospel. Peak Popularity: Mattia has been in the top 10 boy names in Italy since 2003, and was third most popular in 2015. It is rare in the U.S.
Fun Fact: Mattia comes from Matthias, the apostle called to replace Judas Iscariot. Peak Popularity: Michele is in the top 30 names for boys in Italy. In the U.S., it is rarely used, with Michael being preferred. Fun Fact: Michele Ferrero invented Nutella and developed a chocolate empire. He was the richest person in Italy and 20th richest worldwide when he died in 2015. Peak Popularity: In Italy, Nicolo ranks in the top 20 while Nicola is in the top 50 for boys. These names are rare in the U.S., with Nicola used mostly as a female name. Nicholas is the more popular form and was a top 10 name in the 1990s. Fun Fact: St. Nicholas is the patron saint of children, sailors, and merchants. Peak Popularity: Paolo ranks around 50 in popularity for boys in Italy. It is an uncommon name in the U.S.
Fun Fact: Paulus was an ancient Roman family name. Saint Paul was a Jewish Roman citizen who adopted the name upon his conversion to Christianity. Peak Popularity: Pasquale has ranked as high as 50 in Italy in 1999. It hasn't been in the top 1,000 in the U.S. since 1973. Fun Fact: The root of Pasquale, paschalis, relates to the time around Easter and Passover. It might be given to a child born that time of year. Peak Popularity: Pietro is in the top 25 names in Italy, but it is uncommon in the U.S.
Fun Fact: Pietro is the Italian name for Peter, the apostle who is considered to be the first pope. Peak Popularity: Riccardo is the 10th most popular name in Italy, but it is uncommon in the U.S.
Fun Fact: The name day for Riccardo is April 3 in honor of Richard of Chichester (died 1253). Peak Popularity: Salvatore is in the top 40 boy names in Italy. It was most popular in the U.S. in the 1920s, breaking into the top 150. Fun Fact: Several notable gangsters and mafioso were named Salvatore, including the birth name of Charlie "Lucky" Luciano. Peak Popularity: Samuele and Samuel are both popular in Italy, but Samuele wins at number 20 for 2016 while Samuel was at number 41. Always in the top 50 in the U.S., Samuel has been peaking at 21 in 2016 and 2017. Fun Fact: The name day for Samuele is August 20. Peak Popularity: Simone was in the top 10 boy names in Italy from 1999 to 2006. It is primarily a feminine name in the U.S.
Fun Fact: The name day for Simone is October 28. Peak Popularity: Stefano is in the top 50 boy names in Italy. It is rare in the U.S. where its equivalent Stephen was most popular in the 1940s through the 1960s when it ranked in the top 25. Since 2000, it has dropped out of the top 100. Fun Fact: Shakespeare included characters named Stephano in both "The Merchant of Venice" and "The Tempest." Peak Popularity: Tommaso is in the top 10 boy names for Italy, with Thomas in the top 40. In the U.S., Tommaso is rare and Thomas was in the top 10 names from 1880 through the 1960s. While it has dropped a bit, it is still in the top 50 as of 2017. Fun Fact: The name day for Tommaso and Thomas is April 3 in honor of St. Thomas Aquinas (died 1274). Peak Popularity: Valentino ranks about 100 in Italy. It reached a new high in the U.S. at 660 in 2016. Fun Fact: Valentinus was an ancient Roman family name. St. Valentine's feast day is February 14. Peak Popularity: Vincenzo is in the top 40 names in Italy. It has been up to number 742 in the U.S. in 2012. Fun Fact: Vincentius was an ancient Roman family name. The name day for Vincenzo is January 22, for St. Vincent of Saragossa, who was martyred in the year 304.